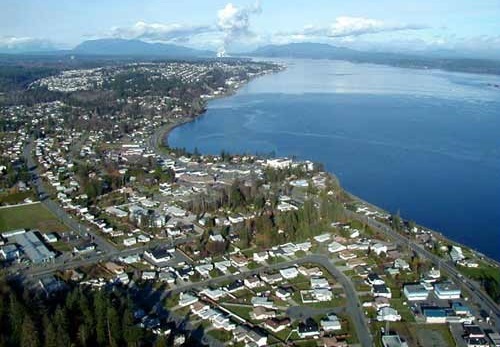 Oceanfront lodge in beautiful Campbell River features stunning views, easy beach access, and comfortable suites for business travellers, families, and tourists. This 50+ room hotel offers a range of room types and amenities, including an outdoor pool, fitness centre, meeting rooms, and event facilities. 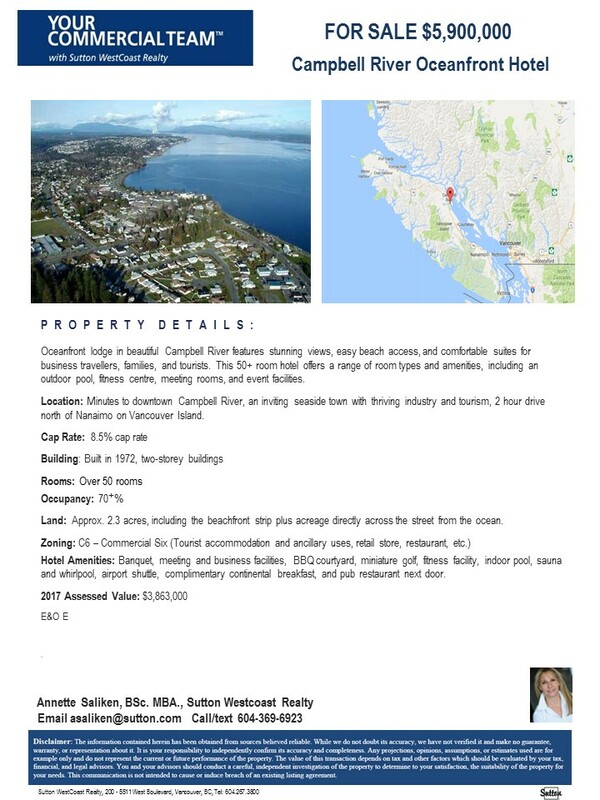 Location: Minutes to downtown Campbell River, an inviting seaside town with thriving industry and tourism, 2 hour drive north of Nanaimo on Vancouver Island. Cap Rate: 8.5% cap rate. Building: Built in 1972, two-storey buildings. Rooms: Over 50 rooms. Occupancy: 70+% . Land: Approx. 2.3 acres, including the beachfront strip plus acreage directly across the street from the ocean. Zoning: C6 – Commercial Six (Tourist accommodation and ancillary uses, retail store, restaurant, etc.). Hotel Amenities: Banquet, meeting and business facilities, BBQ courtyard, miniature golf, fitness facility, indoor pool, sauna and whirlpool, airport shuttle, complimentary continental breakfast, and pub restaurant next door.